As the title implies, Devlin has spent most of his career never quite being fully embraced. Although he is a favourite amongst the grime scene's core fan base and its creators (Wiley once called him the greatest grime MC), he’s never broken into the mainstream the way many predicted. His first album – ‘Bud, Sweat and Beers’ – dropped in 2010, when grime was still polarised between poppy mainstream acts and the staunchly underground. It was successful but didn't lead to the stardom it arguably deserved – maybe because it didn’t fit into either lane. Two albums and nine years later, the Dagenham MC returns to a very different landscape. Where his previous work had moments that pandered to radio audiences, this time the rapper has been released from those creative shackles…and in doing so has produced an undiluted barrage of intensity. From the get go, Devlin taps into his core energy with opening track 'Pirate', an homage to the pirate radio sets on which all the great grime MCs honed their abilities. What follows is an uninterrupted flow of incredible instrumentals that Devlin just tears apart. He sounds free and liberated, and these tracks aren't simply the MC flexing his ability: on early highlight 'Limelight' the melancholic beat allows him to reflect back on his career and plot his course forward, speaking on both his insecurities and strengths. The project reaches peak intensity with the one-two of 'Grime Scene Killer' followed by 'Live In The Booth', both of which again show the lyrical prowess of the veteran MC and solidify the album as one of the strongest, and purest, grime projects in years. Perhaps one criticism of this project could be that it lacks a diversity of styles, but when the tracks are executed to this level it really seems shortsighted to complain. This is what Devlin does, and he does it better than practically everyone. The album comes to a close with another electrifying set of bangers, with the Ghetts-featuring 'Triton' being one of the many high points. The two Movement MCs bounce off each other, with the chemistry and clear competition between the two elevating the track. 'The Outcast' is the sound of an artist with no constraints, and who is close to completely mastering their craft. 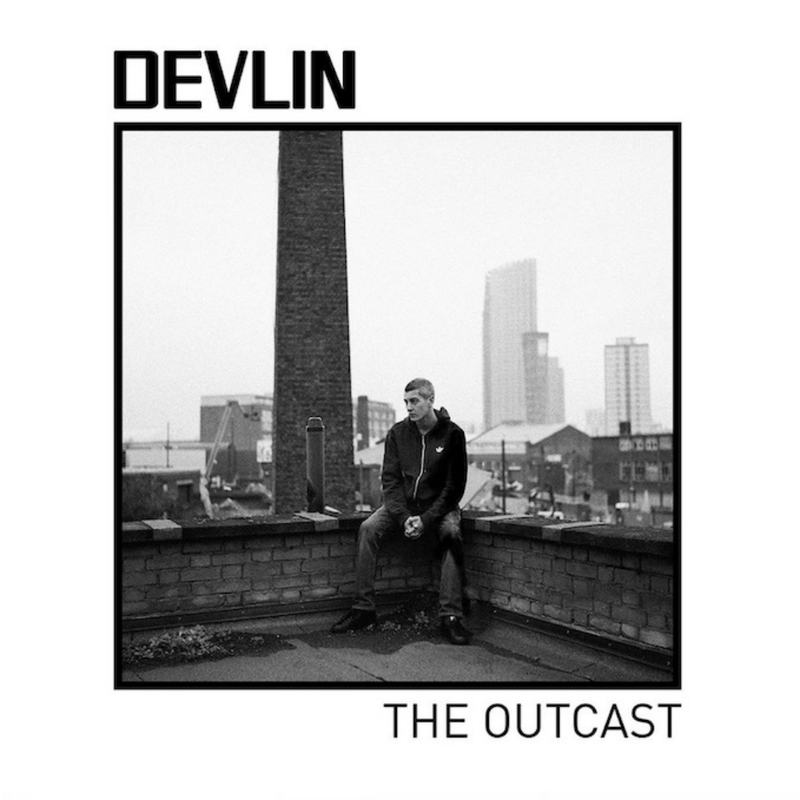 It's definitely up there with Wiley's 'Godfather' and P Money's 'Live + Direct' as one of the best pure grime albums to be released in recent years, and without doubt Devlin's strongest outing.